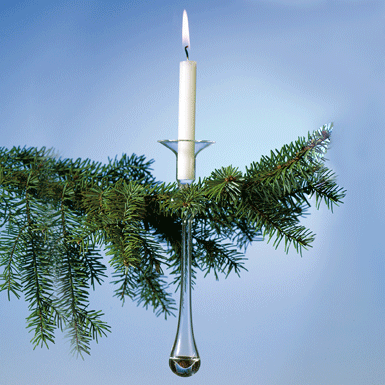 Roberto Niederer “invented" these many years ago: The popular tree candle holders made of glass. They are completely heat resistant and can be held under very hot water for cleaning. Take care of them and treat them with tender hands. Matching candles can be ordered from us.